Greg Woodworth, who joined the Army, is protesting a school policy allowing only honor cords. 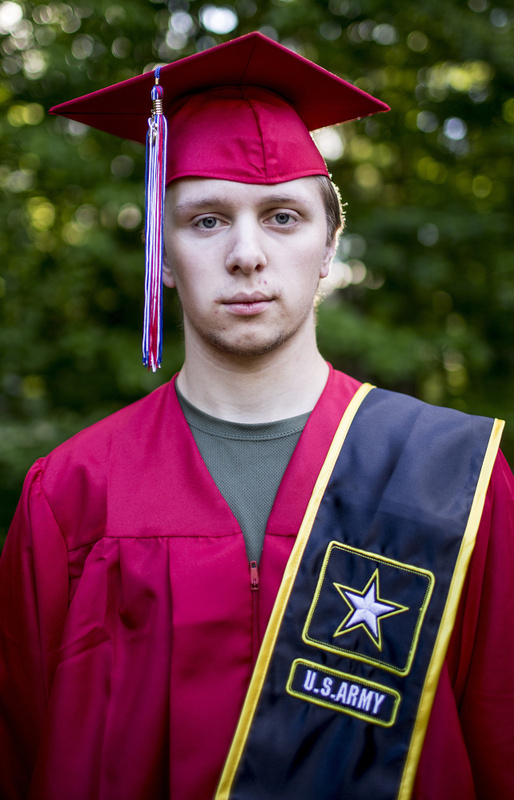 A Mount Ararat High School senior who has enlisted in the military is boycotting his graduation ceremony because school officials told him he couldn’t wear an Army sash over his gown. Instead, Greg Woodworth picked up his diploma Friday and will have his own graduation ceremony at American Legion Post 202 in Topsham on Sunday, the day the school holds its graduation. “I would like to see my school allow students to wear their sashes,” Woodworth said Friday. Not participating in the school graduation ceremony is his protest, he said. “I don’t want to walk. My parents agreed as well,” said Woodworth, 19, who is going to Fort Benning, Georgia, in July for training to become an infantryman. He and his parents met with the district superintendent, but were told that Woodworth could not wear the sash because school officials want “unification around the school” at graduation. Typically, high schools and colleges limit what graduates can wear to graduation ceremonies, and usually allow only adornments that are issued by the school to denote service and academic honors. That’s the case at Mount Ararat, in School Administrative District 75, which allows only honor cords for graduates with a GPA of 3.5 or higher, or National Honor Society emblems, according to the student handbook. “It is nothing about not being appreciative of the military and the commitment (the students) are about to make. It’s unfortunate some people choose to see it that way,” said Superintendent Brad Smith, noting that the issue has come up periodically over the years and the school has decided not to change its policy. That’s why they limit adornments to academic accomplishments in high school, he said. “As much as we value and respect and appreciate those going into the military, that’s about what people are going to be doing in the future, and graduation is about what you have done K through 12,” Smith said. A military sash could be allowed at the school’s senior awards program, when graduates’ future plans are acknowledged and honored, Smith said. Woodworth said his Army recruiter presented him with his sash and a certificate at that ceremony, held June 1. Smith noted that the district and community have strong military ties because of the nearby former Brunswick Naval Air Station, and the high school has a steady stream of graduates entering various branches of the military. Similar controversies over military sashes have occurred around the nation for many years. In some cases, schools have made exceptions or changed their policies, while others have maintained a no-sash policy. Three years ago, the Augusta School Board changed district policy after initially forbidding a Cony High School graduate from wearing an Army National Guard sash. 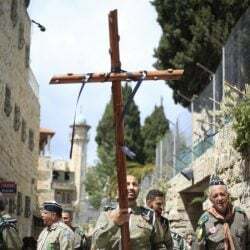 Last week in Pennsylvania, several graduates from Middletown High School were not allowed to wear military sashes, although the written program and school website noted their military service. After the ceremony, school officials said they planned to amend their policy to allow students to wear school-issued red, white and blue cords to denote military service, according to local media reports. Woodworth said several other graduating seniors were honored at the senior awards ceremony for joining the Navy and Marines, but they were not given sashes. “I can’t wait to put it all behind me,” he said.